The mystery of the body found on Saddleworth Moor. One morning a cyclist found the dead body of an elderly man in a remote spot on a moor with a grisly history. At first, the cyclist thought the man was sleeping or resting, but no. When the police arrived it was discovered that the man had no identification, no cellphone — and it seemed that he had taken his own life. But who was he? The body was discovered on December 12th, 2015. One year later, the identity of the man had still not been discovered. But there were clues from the man’s meagre possessions and from the autopsy. Police investigated the area of London where the man had started his journey. They checked doctors, dentists, pubs, betting shops and – because the man was elderly – residential homes and hospitals. Not one clue emerged. If you are from the UK you may remember, or have heard of, the moors murders. These took place in the early nineteen sixties when serial killers Ian Brady and Myra Hindley murdered five children – horribly. The man’s body was found nearby – could there be a connection? The authorities in 2015 estimated that the man had been aged between 65 and 75. I have seen the CCTV images of him (but cannot add them here for copyright reasons) and would say that he appeared to be at the upper end of that estimate – definitely in his seventies. 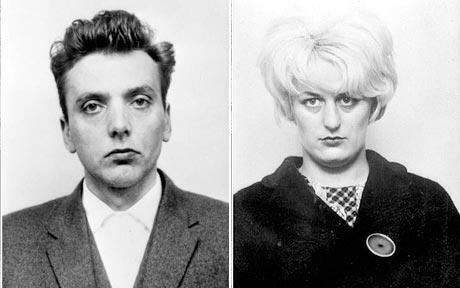 When Myra Hindley and Ian Brady embarked upon their murderous activities in 1963 they were aged twenty one and twenty five respectively. So the dead man found in 2015 would have been about their age at the time. For many years after the murders there were rumours that there had been a third person, a man, involved in the crimes. The committal hearing began on December 6th, 1965. It lasted for eleven days. Fifty years later – on December 11th – the mystery man took the train from London to northern England and proceeded to the site of the murders where he took his own life. Until 1967, committal trials were held in order to examine the evidence and listen to psychiatrist reports. This was to determine that there was indeed a case to answer and this is why the committal trial for Brady and Hindley took eleven days. So on December 11th 1965 evidence was given as to why Brady and Hindley should be charged with murder. No transcripts are available. So was December 11th 2015 the fiftieth anniversary of some piece of evidence being discussed that exonerated the man? When the man’s body was discovered, there were train tickets in his pocket that helped the police determine that he had arrived at Manchester railway station from London. These were the only clues they had. (Interestingly, it was a return ticket). Why did he choose to travel by train? 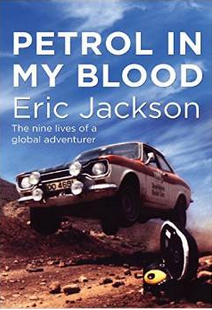 When he arrived in Manchester, the police do not know at time of writing how he then travelled to Saddleworth Moor. The edges of the moor are about fifteen miles away from the station. It would have made more sense for him to rent a car to make the entire journey. He had been travelling for at least three hours when he arrived at Manchester. One reason why he didn’t use a rental car could be, of course, that it would have made it easier for the police to identify him. But…. When Ian Brady was arrested in 1965 police searched his house and found left-luggage tickets. These led them to a locker at Manchester railway station. The police found ample evidence – I won’t go into details – in the locker to charge Brady and Hindley with murder. Yet another coincidence. The man died of strychnine poisoning. When his body was found he was laying peacefully with the arms neatly folded across his chest. Yet strychnine poisoning causes convulsions prior to death.